The story of Combat Sports in Atlanta is the story of KnuckleUp. We have always been a dominant force in our city’s rich Boxing, MMA, and Brazilian Jiu Jitsu traditions. Almost every major MMA player in Georgia has at some point trained with our gym. In addition to the Who’s Who of fighters, trainers, and celebrity martial artists that come through our doors, KnuckeUp’s competitive record, at both the professional and amateur level, is the best in the business. Along with its strong tradition of victory in the ring, KnuckleUp Fitness has also been helping people get fit and excel in their martial arts training for well over a decade. KnuckleUp was founded for people who want to get in shape but are looking for something beyond traditional fitness workouts. By combining world-class martial arts classes like Kickboxing, Muay Thai, Boxing, MMA and BJJ with personalized motivation and instruction from top coaches KnuckleUp creates a new and exciting way for people to get fit. Working out and getting the body you want is only the beginning. Because of KnuckleUp’s positive, affirming atmosphere, our members develop and foster the same fortitude, energy, and focus that makes KnuckleUp fighters victorious in the ring. When you train with KnuckleUp you’ll get in the best shape of your life, have fun, and discover the personal power and resilience that makes our competitors so successful. 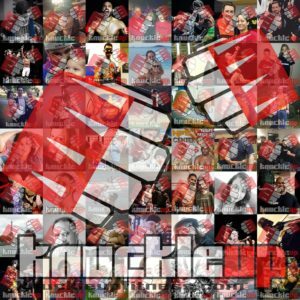 We’re celebrating the rich tradition of KnuckleUp and our members over the next several weeks with a series of interviews and features that tell the story of martial arts in Atlanta and the pivotal role KnuckleUp has always played. Plus we’re spotlighting the next generation of up and coming stars who are developing their potential at KnuckleUp.